Originally Directed by Harold Prince. As a young woman who longs for fame and fortune, Eva quickly learns that her feminine wiles hold power among culture, and a political system, run by men. Following her journey from poor, illegitimate child to a wife of a rising political figure turned-President, a young and unknown revolutionary narrates the rise and fall of the beloved matriarch of the Argentinian people and most powerful woman in Latin America. 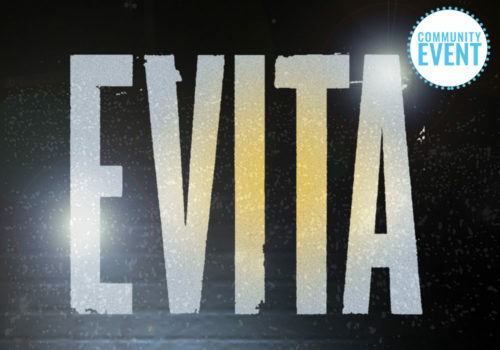 BSEAODS return with another classic musical; Evita. This is an amateur production by arrangement with The Musical Company Ltd.
Tue 8 Oct at 7:30pm 7:30pm Book Now! Wed 9 Oct at 7:30pm 7:30pm Book Now! Thu 10 Oct at 7:30pm 7:30pm Book Now! Fri 11 Oct at 7:30pm 7:30pm Book Now! Sat 12 Oct at 2:30pm 2:30pm Book Now! Sat 12 Oct at 7:30pm 7:30pm Book Now!